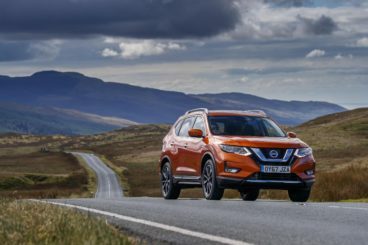 The new Nissan X-Trail Station Wagon is a beefed-up, handsome SUV that looks primed and ready for some adventures with the family. It offers plenty of space, efficient engines, and can seat up to seven people. It competes in a fairly luxurious sector, but what helps it stand out from rivals is that – despite being undeniably stylish – the X-Trail is rugged, and more practical than most competitors. 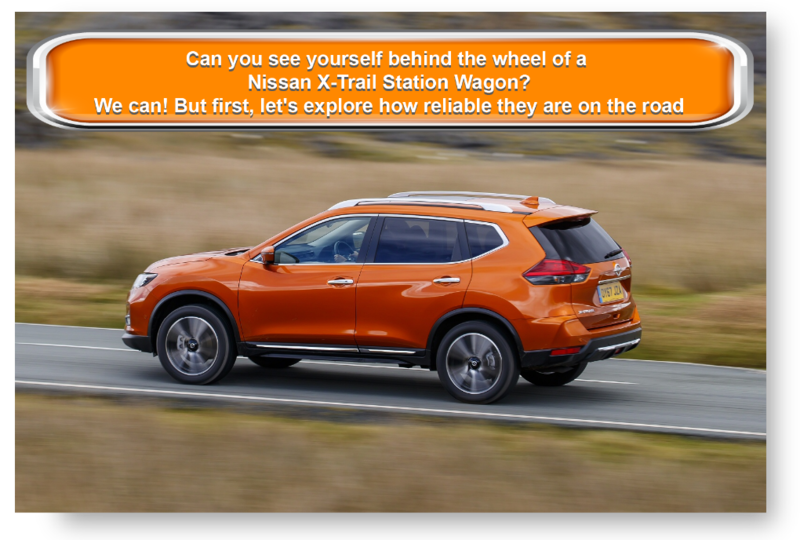 OSV takes a closer look at what it’s all about with our 2017 Nissan X-Trail review. The X-Trail is essentially the Nissan Qashqai but more grown-up. And that’s really how it performs on the road. It’s not lively and it’s not what you’d call a bundle of fun, but it’s competent and offers lots of grip. The steering doesn’t have much feel, and some buyers might complain that it’s too light. On the flipside, Chassis Control comes as standard on all models, and it includes Active Ride Control and Active Trace Control among its driver aids. The suspension has been softened up, and this will cause excess lean in bends. However, it does a good job of smoothing out coarser road surfaces. Stick to the smaller 17” alloys and ride quality is decent, but adding bigger ones will cause the X-Trail to fidget. Four-wheel-drive is optional, and it comes with three modes: You can choose to stick to two-wheel-drive when you want, switch to four-wheel-drive when a loss of grip is detected, or turn the X-Trail into fully four-wheel-drive. That said, we don’t think the system is an essential. In terms of the engines, there are a pair of diesels and a solitary petrol to choose from. This petrol is sized 1.6-litres, develops up to 161bhp, and does 0-62 in 9.7 seconds. It moves the hefty car along swiftly, makes little noise, and is an overall solid choice. Our only criticism is that you will need to work it hard. The diesel range kicks off with a 1.6-litre 128bhp unit that lacks enough power to haul along a fully-loaded X-Trail without feeling out of breath. It can do 0-62 in 10.5 seconds on paper, but its progress will be stunted if you come across even a small incline. You can add four-wheel-drive to this engine, and doing so knocks its 0-62 time up to 11.0 seconds. Add four-wheel-drive and an automatic transmission, and its 0-62 time goes up to 11.5 seconds. The other diesel engine is a 2.0-litre 175bhp unit that does 0-62 in an impressive 9.4 seconds. The X-Trail has changed a bit in terms of how it drives – but it’s changed a huge amount inside. Although it drives similar to the Qashqai, it’s presented as an alternative indoors. Where the Qashqai is funky and fun, the X-Trail is more restrained, with Nissan going for a smarter style. It’s tidy, too, and business-like. Nissan has done well to clean the dashboard up, replacing its scattered controls with a more logical arrangement of controls and dials. There are plenty of soft-touch materials this time around too, while the straight edges are gone in favour of curvier ones. It’s easy for the driver to get comfortable, thanks to plenty of steering wheel and driver’s seat adjustability. Those in the back get supportive seats, and they also get raised seats that allow them a decent view outside. The Nissan X-Trail comes with either five or seven seats, and interior space is good in both models. In fact, no rival has more legroom. The extra third row of seats is really for children, though, while the middle row is easy to slide back or forth for more luggage space or legroom. The boot measures 565-litres with the seats up, and 1,996 with the back two rows folded down. This is for the five-seat version. If you go for seven seats, you get a boot that’s sized 445-litres with all the seats up. Standard kit is good across the range. The entry-level model is well-equipped, and comes with 16” alloys, a 5” infotainment touchscreen, LED running lights, Bluetooth and all-around electric windows. The Acenta model adds more stereo speakers, automatic lights and wipers, tinted rear windows, twin-zone climate control, a panoramic sunroof, as well as a leather steering wheel. The N-Connecta trim, meanwhile, gets a 7” infotainment system, 18” alloys, a power-operated boot and a DAB radio. The range-topping Tekna model rounds things off with a Bose sound system, power-adjustable and heated quilted leather seats, and full LED adaptive headlights. Safety kit is good, but it’s only from the N-Connecta trim onwards that you get a 360-degree parking camera and autonomous emergency braking. Meanwhile, only the Tekna model gets blind-spot monitoring as standard. The X-Trail scored 5/5 when crash-tested by Euro NCAP, though, so all models will be safe. Prices for the new car start out from just under £23,400 and rise to as much as £37,400. For more information on our leasing deals, check out our page here. Running costs are good, thanks to the use of efficient engines. However, economy will change depending on whether you opt for a two or four-wheel-drive model. The most frugal of all the engines is the 128bhp 1.6-lite diesel engine. It’s more expensive than the petrol, but it returns as much as 57.6mpg on the smaller wheels. The 2.0-litre 175bhp diesel model returns 50.4mpg economy, while the 1.6-litre petrol engine is good for 45.6mpg. Nissan has a knack for crafting good-looking large cars, and here is another impressively handsome example of their handiwork. It’s spacious, well-built, and pleasant to look at. It might be a station wagon, but it drives with the responsiveness of a hatchback. Nissan has watered it down for 2017, and it’s lost some of its character. If you want seven seats – and if you want the top models – things get pricey. Let’s see how the car fares against its rivals in the comparison section of our 2017 Nissan X-Trail Station Wagon review. 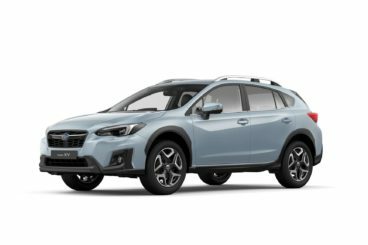 The new Subaru XV Hatchback is one of Subaru’s best models on the road at the moment. Commanding looks, four-wheel-drive and strong build quality are all part of the XV’s attractive package. It doesn’t look like it would be an agile car, but it surprisingly is. And while it lacks a bit of oomph, its standard four-wheel-drive bolsters things up with some much-welcomed grip in bad conditions. Off-road, it’s highly capable, thanks to the aforementioned four-wheel-drive system, as well as X-Mode. This is a new feature that controls the brakes and engine to enhance slipping or traction when needed. With no diesel engines available, a 2.0-litre petrol unit is OSV’s top pick. Its unusual design (its pistons move like a boxer’s arms when striking a punchbag) means it sits lower down than most engines. Such improved centre of gravity ensures good agility, and the engine develops a respectable 154bhp. It can do 0-62 in 10.0 seconds flat, but the lack of a turbocharger means it doesn’t have as much punch as rivals. At the moment, it’s the only engine to choose from, but a 1.6-litre petrol power plant is on the way. Subaru has also suggested that a hybrid engine is in the works. For now, though, you’ll have to accept the 2.0-litre engines average economy of 45mpg. That’s a marginal improvement over last time, while emissions stand at 145g/km. Overall, running costs are competitive for this class. 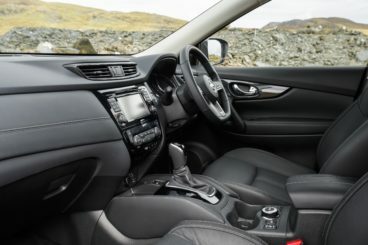 Inside, the Subaru XV Hatchback looks better than last time. Subaru’s are generally not very flash, and while the XV still puts function and usability first, there are one or two stylish flourishes. The trims feature more high-gloss, and soft touch materials are used more liberally. We wouldn’t argue that the dashboard is fancy, but buyers are likely to appreciate its straightforward design. Meanwhile, the cars 8” infotainment screen is now compatible with Apple CarPlay and Android Auto. The Subaru XV Hatchback gets our thumbs up for its levels of practicality. It’s a robust, dependable car that pulls through in trick conditions, and it has plenty of space for all your passengers. 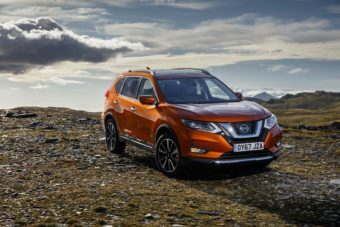 Storage space is also good, but while the boot measures 380-litres, there are rivals that offer far bigger boots – including the Nissan X-Trail. 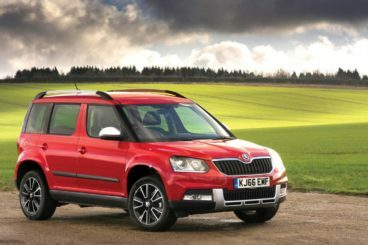 The new Skoda Yeti Outdoor has pretty much everything families want from a car like this. It’s affordable to run, impressively usable, and will look smart on your drive. It’s big, but it drives almost like a smaller Hatchback. Accurate steering and a smooth transmission help to this end, and the Yeti Outdoor is at home in good and bad conditions. Its engines are turbocharged which helps with both drivability and running costs, while the more powerful engines come with four-wheel-drive. However, without four-wheel-drive, the Skoda Yeti Outdoor can’t compete with the X-Trail when it comes to its drive (almost) anywhere ability. In terms of the engines, a relatively small 1.2-litre petrol engine that develops 108bhp has proven to be a good seller. It’s a bit noisy when pushed hard, but feels at home on the motorway. However, it’s the 2.0-litre diesel engine that proves to be the real champion when driving the Yeti Outdoor on a full load. Available in either 109 or 148bhp, it’s an affordable enough engine. That said, only the latter can be paired up with four-wheel-drive, and doing so bumps up running costs. To keep costs down, you’ll need to go for either the petrol or the 109bhp 2.0-litre diesel. With two-wheel-drive, they both emit less than 130g/km of CO2. The diesel, meanwhile, averages 60.5mpg economy, which is impressive for this class. Opt for the four-wheel-drive 148bhp diesel, and economy drops to 55.4mpg. Inside, the Skoda Yeti Outdoor is comfortable and spacious. Build quality is good, with the materials looking durable enough to deal with whatever your family can throw at them. The dash is similar to the one in the VW Passat. This means the dials and buttons are clear and well-placed, and everything feels solid to touch. A 5” touchscreen infotainment system is standard on entry-level models, as is air conditioning and remote control central locking. However, what really ensures the Skoda stands out is its practicality. Its boxy shape might not be the most attractive, but it provides wide dimensions and lots of interior versatility. The windows are big and wide, the driving position is high, and there are storage spaces literally everywhere. Leg and headroom are good all-around, with the only person losing out being the one sat in the middle. Yes, a transmission tunnel is in the way. The boot, meanwhile, measures 416-litres. In isolation, that’s good. But it’s miles off the Nissan. It’s a lot like the popular Qashqai but more. You can have seven seats if you want, while extra space, even smarter styling and more power are all part of its attractive package. It’s super easy to drive, too, while safety levels are high. The Nissan X-Trail Station Wagon might not be a real member of your family, but after a few months of ownership it’ll start to feel like one.